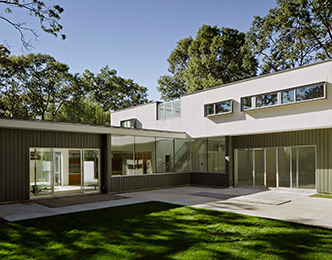 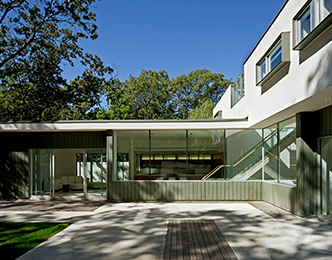 This new 5,000 SF suburban residence focuses on the use of courtyards to address the need for privacy. 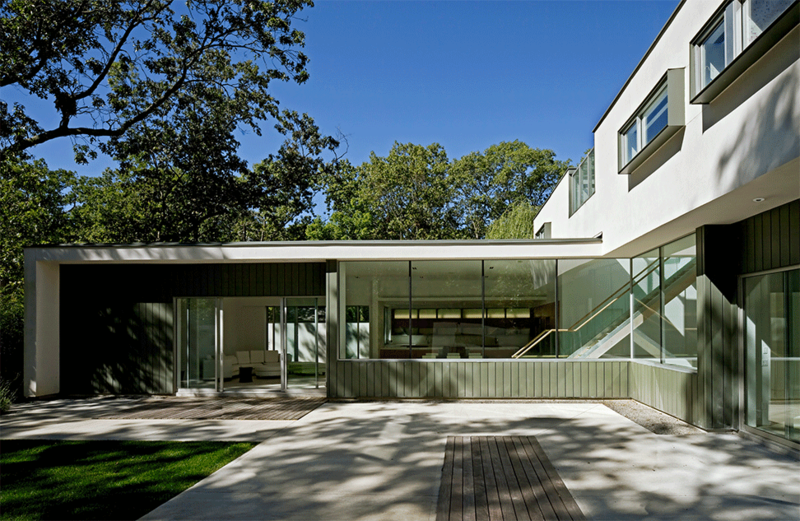 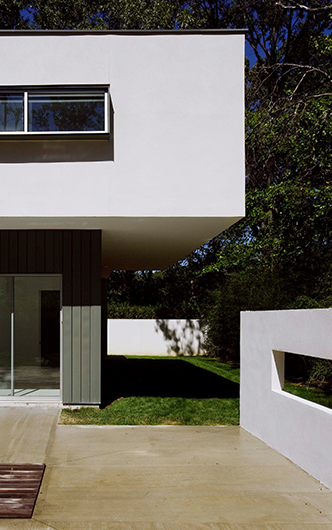 The L-shaped plan allows for both a public and private face to the residence. 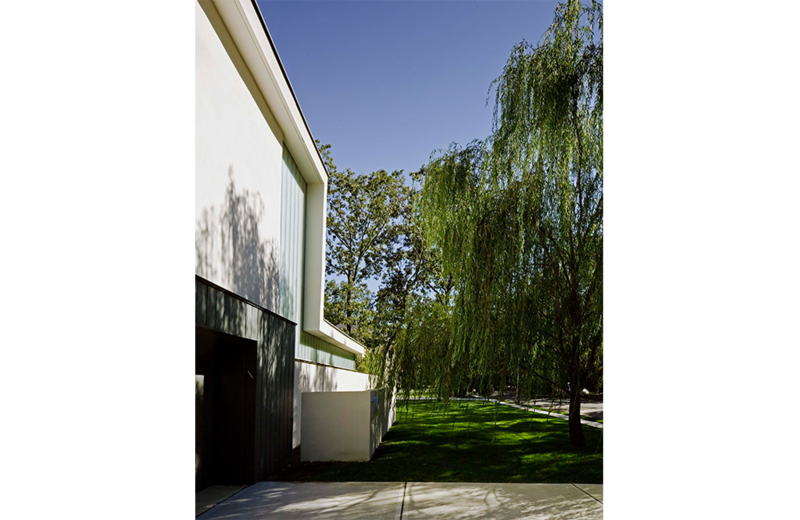 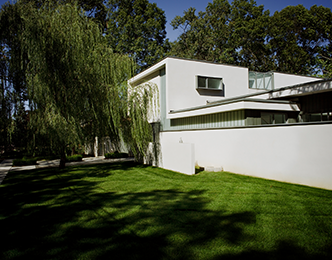 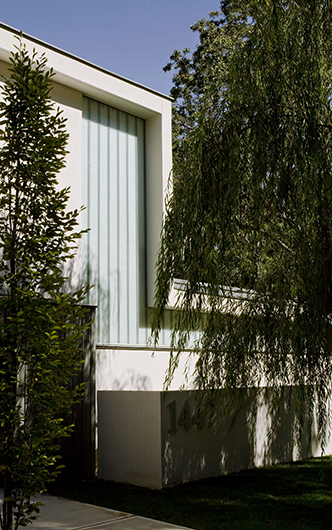 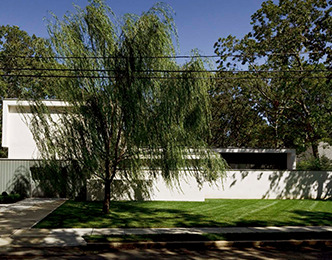 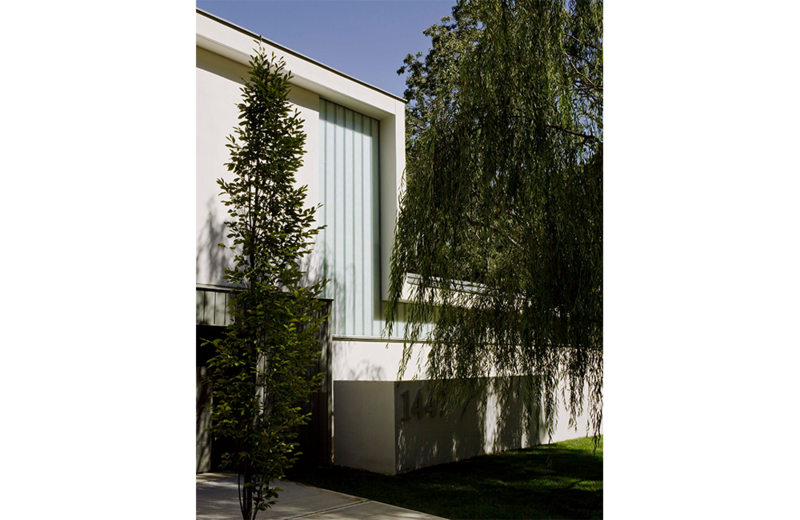 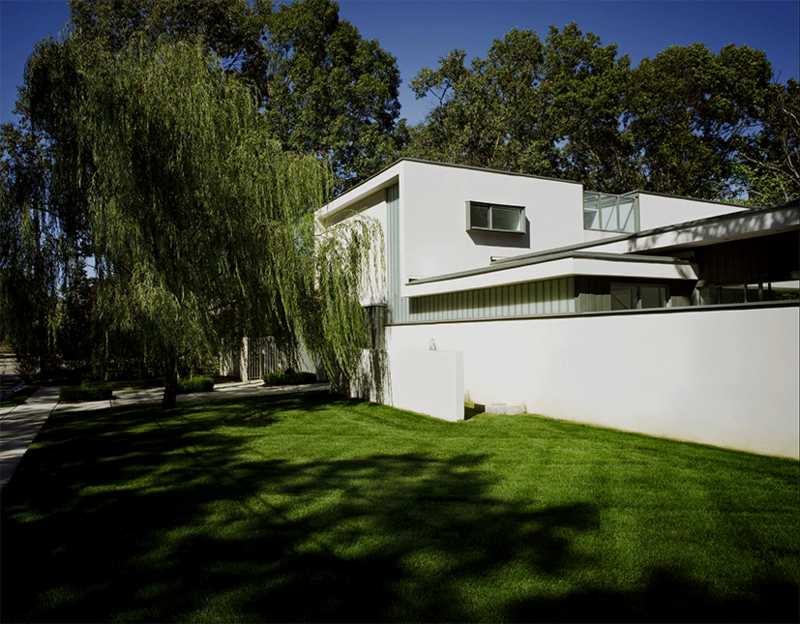 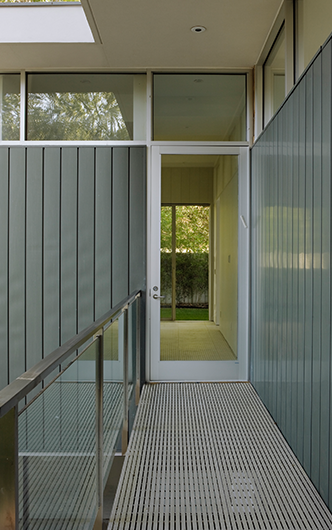 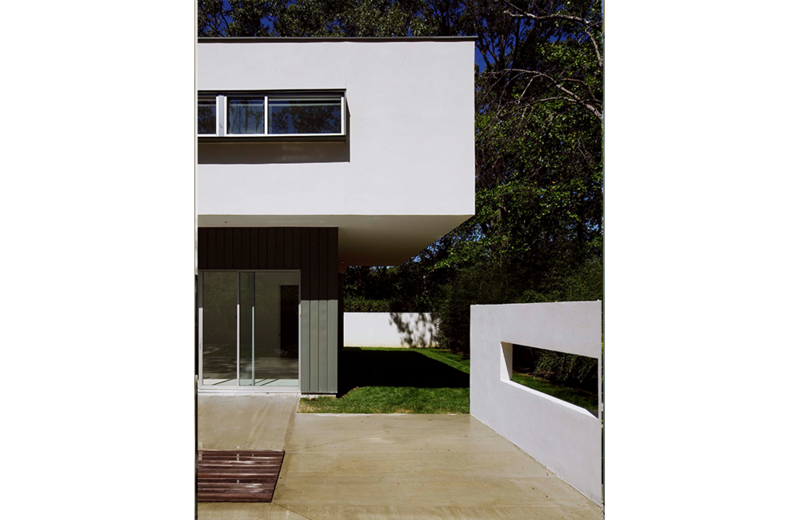 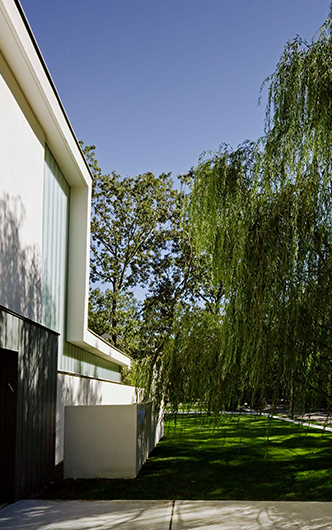 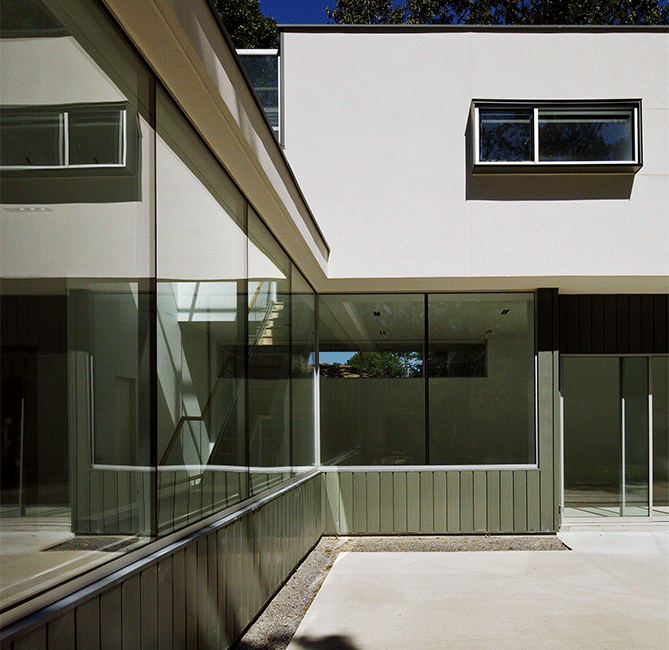 Facing the street, the single-family house presents a solid face of zinc panels and white cementitious stucco. 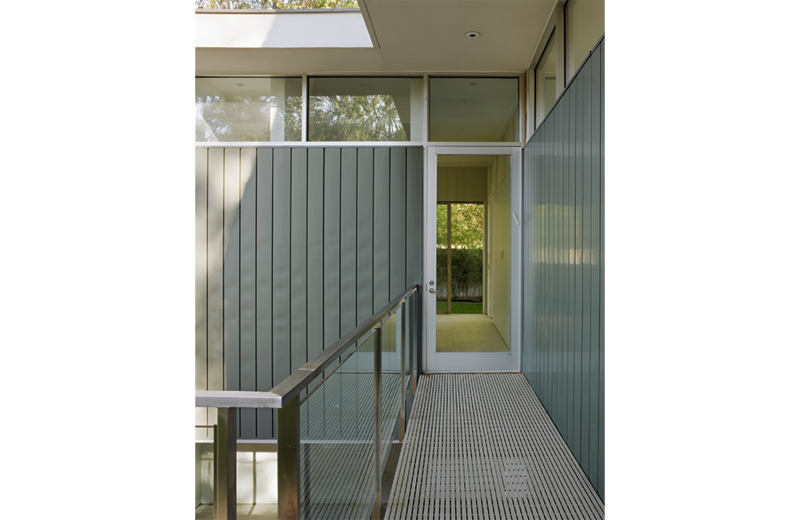 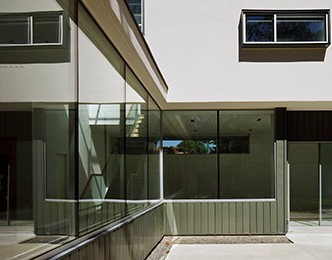 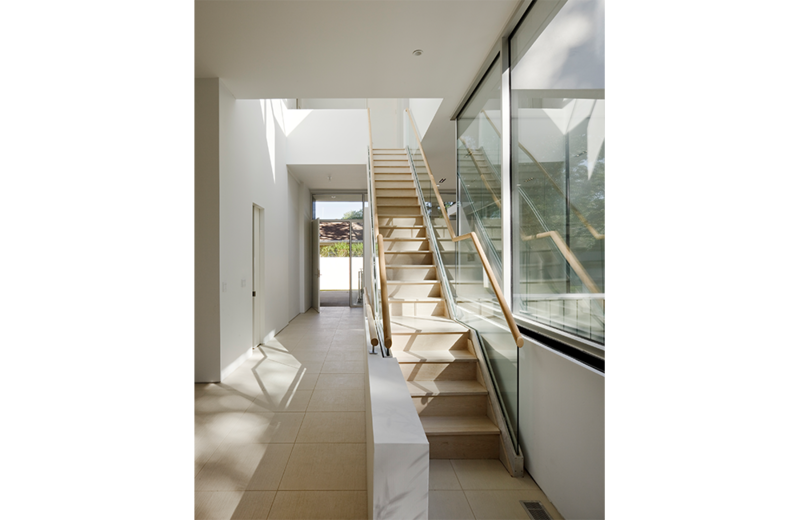 On the interior courtyard, ample glazing gives occupants views out on the landscaped yards and provides abundance of natural light for the family dining and living spaces. 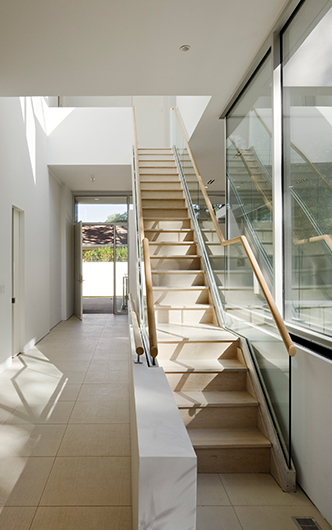 An elegant feature staircase connects the ground floor living spaces with a cantilevered second floor for the sleeping areas. 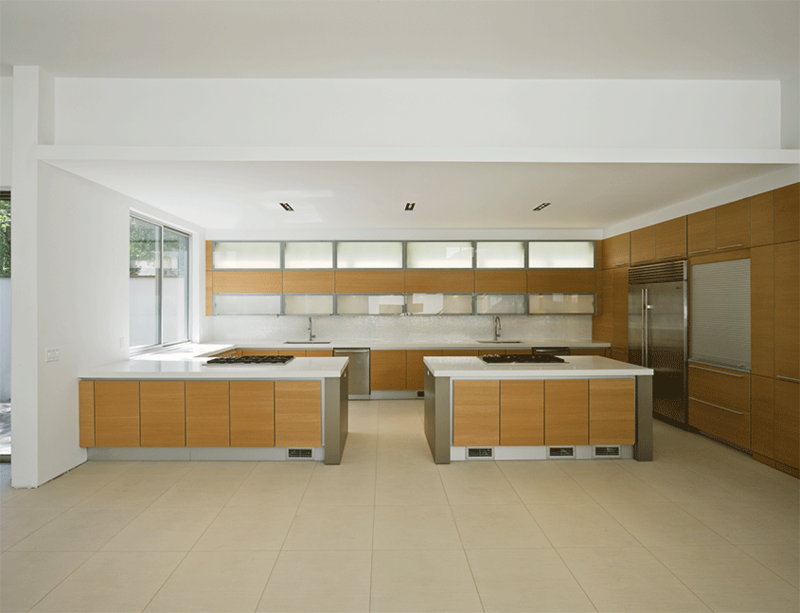 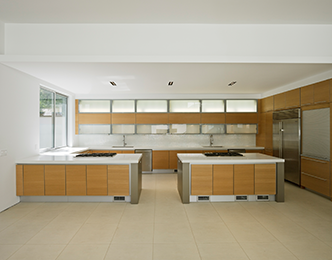 The kitchen and living spaces are designed to incorporate faith-based living.